“Just to update you and for your prompt action, during the weekend and particularly on Monday we had severe power surges throughout the night and they have been continuing right through the morning. 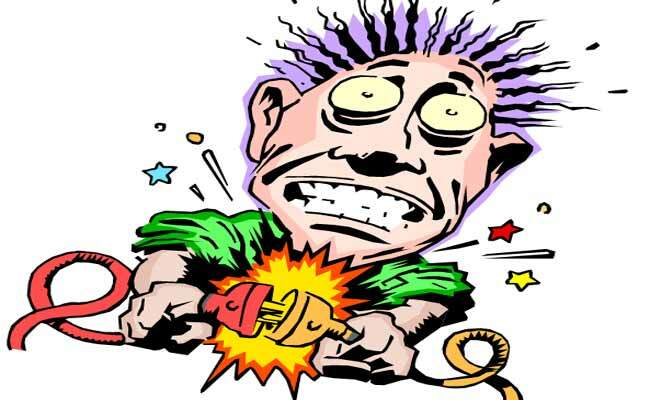 For us it does not matter who is responsible, but one thing is for sure we are losing our electronic appliances very fast due to the power surges. It is our obligation as residents to refer back to the TMO/EMB who should follow their obligation. Protecting resident’s interest should be the utmost priority for the TMO/EMB/KALC/COUNCIL/POWER SUPPLIER. Passing on the responsibility when residents’ welfare is at stake is wholly unacceptable. It has already created frustration and unhappy residents. ”There are lots of theories about the possible cause of this problem, but we are lacking in hard facts. It is possible that the power surges are tripping out the water pumps – leading to the intermittent water supply. We are trying to validate this and identify an appropriate solution. We refute this assertion by Mr. Peter Maddison and it’s not true and we are sure that most of the resident are affected by this power surges. We can report that Leadbitter is not at this time carrying out any works which involve high voltage electricity. We would also say, that surges of this nature, could only come through the transformer located in the tower basement, from the Grid. We have suggested that the TMO contact DNO (UKPN) for further investigation. “I have also asked Leadbitters if these surges can be explained at all by the development (although I think this is very unlikely as they do not access the same power source as Grenfell Tower). My initial thoughts are that this is a problem with the power supplier rather than anything to do with the TMO or KALC but I and the TMO will look into it”.